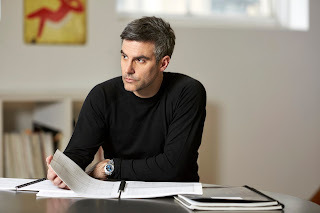 Kevin Puts won the 2012 Pulitzer Prize for his debut opera, Silent Night. Since then he was commissioned to write The Manchurian Candidate by the Minnesota Opera and his latest work, Elizabeth Cree, was commissioned by Opera Philadelphia. Elizabeth Cree will have its World Premiere in September 2017. A prolific composer, his works have been commissioned, performed and recorded by such luminaries as Yo-Yo Ma, Jeffrey Kahane and Dame Evelyn Glennie, and such organizations as the New York Philharmonic, the Tonhalle Orchestra (Zurich), the St. Paul Chamber Orchestra, the Baltimore Symphony and the Houston Symphony, to name only a few. 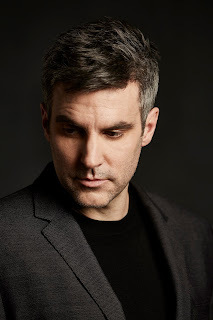 A former Composer-in-Residence of Young Concerts Artists, he is currently a member of the composition department at the Peabody Institute at Johns Hopkins University and the Director of the Minnesota Orchestra Composer’s Institute. Stay Thirsty Magazine was honored to visit with Kevin Puts at the Peabody Institute for this Conversation. STAY THIRSTY: Some of your work draws upon history, historical events and notable people, real and fictitious. Why do things from the past have such a big influence on your compositions? KEVIN PUTS: I never set out to write such works, but maybe when suggested to me the projects have greater appeal because we invariably learn something from what history teaches us. Or don’t, in the case of Silent Night. The Manchurian Candidate, though a work of fiction, is particularly portentous in the character of Johnny Iselin who was a buffoon, a brainless blowhard who wanted to be president and whose strings were being pulled by characters with a sinister agenda. But as for historical pieces, there is great power in seeing these events unfold on stage with the knowledge of all that has happened since, and great appeal in writing a kind of music which takes this irony into account. STAY THIRSTY: Your range of composition spans operas to orchestrals to wind ensemble pieces to choral compositions to chamber and ensemble and solo works. Why have you chosen to express yourself in so many variations? Which vehicle most mirrors your inner self? KEVIN PUTS: I never really made a decision about it. People have asked me to write pieces, and if they come from an excellent organization and the performers are great, it is hard to say no. I would say every piece I write expresses who I am. I do not compose superficially. My music comes from the same place it did when I say eleven or twelve and first putting notes to paper. The music I love most is deeply emotional, deeply human and I guess has a universal appeal to those of us with empathy and openness. This is why I am so drawn to Mozart, I suppose. But I realized after the last election that I was going to find it very difficult to write, because I learned that much of my inspiration is generated by the belief that people are basically good and capable of great and beautiful things. The election was terribly disheartening in this regard. I am not interested in writing angry music, or glib, fun-poking music, or dismal, hopeless music. My music has always come from optimism. So it has been a tough time. STAY THIRSTY: Your first opera, Silent Night, told a World War I story and won the Pulitzer Prize. Your second opera, The Manchurian Candidate, was based on the book, and your upcoming opera, Elizabeth Cree, is set in 1880s London and will have its World Premiere at Opera Philadelphia this fall. 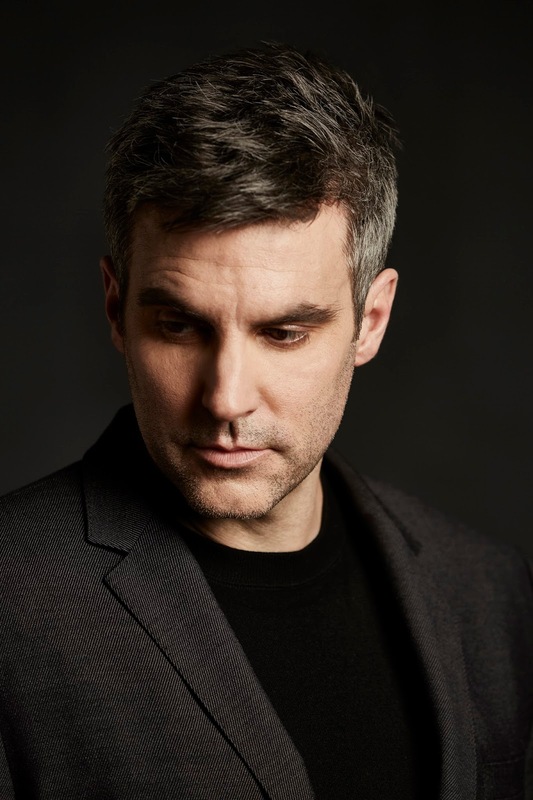 You have worked with librettist Mark Campbell in all three productions and all three have dark and horrific elements. What is it about the “dark side” that attracts you and why have you chosen these particular subjects for your work? KEVIN PUTS: Interesting question, in light of my answer to the previous question! I have always look for the light amidst the dark, and that exists in Silent Night and The Manchurian Candidate. I am not sure it does in Elizabeth Cree, however. It is a dark tale. But you know, everything doesn’t always have a silver lining. Let’s be real. My interest in Cree came from what I could do musically, the way I could create a sense of incessant drive and pulse through the work, even in its many scene changes. I was interested in what the musical experience could be for the audience. And the story will keep them riveted, trust me! STAY THIRSTY: You have said that, “everything is defined by harmony,” and you have also said that in telling a dramatic story you move from one chord to the next. When writing your operas, how do conceptualize telling the story so that the audience will feel the emotions of each scene? KEVIN PUTS: I probably did say that. Harmony, the way I am referring to it, is all the notes that support the melody. I don’t mean simply singing along in parallel motion with the melody, “singing harmony.” Some music is almost entirely harmonic, meaning there is no melody, only chords changing at varying speeds, etc., and while some notes of the chords change, others hold over, which can be beautiful. Opera people talk about melodies we love, but where the emotion truly lies is in the harmonic support of these melodies. Try playing “Nessun dorma” on the piano, just the melody, and see if you feel anything! Well you might, because your memory of Puccini’s harmony is so strong. But his wonderful skill is revealed in the melody’s relationship to the bass line at the foundation of the harmonic changes, which is a melody in itself. We feel this pull away from the tonic (the “home” chord), and we get further and further away from it, but we always want to get back to it. I don’t mean to be overly critical of work being done these days, but I hear so much music in which the composer clearly has no awareness of the importance of this, of the relationship between the outer voices of anything that happens in the music. So I end up feeling nothing, though I am able to get out to concerts so infrequently that I truly would love to feel something powerful! The understanding of this relationship is so vital to the way we feel when we hear the music. And once internalized, it can be applied to music in any pitch language. KEVIN PUTS: I think I mostly answered that above, but I will say I always hear harmony first and sing along with it, using the text I have been given. In Elizabeth Cree, there are a lot of scenes (mostly the scenes set in the music hall) which are going to sound melody-driven, made of a hummable tunes and so forth. But I usually don’t think of melody that way. I think of a line with a shape which goes somewhere, which peaks at the right moment and will let the singer do what they do best. I think of this in relation to the harmony and the bass line. Actual there is no real process, no order by which I conceive of one element or another. As most composers will tell you the best ideas sort of come at you all at once. STAY THIRSTY: How important was being a composer-in-residence for you in the trajectory of your career? Composer in Residence. The latter was the idea of conductor Barry Jekowsky, who also essentially founded the orchestra. I would not be regarded as an orchestral composer without Barry’s belief in me at that time. Young Concert Artists was absolutely amazing as well. I am not the type to get myself in front of people and find opportunities to write. YCA opened so many doors for me, as they have for so many young performers and, increasingly, young composers. STAY THIRSTY: What influence do the symphonies of Beethoven have on your thinking and can Beethoven’s influences be heard in your compositions? KEVIN PUTS: You know there are so many composers who influence my music that I am not aware of it anymore. I just kind of let the music come out of me. But yes, Beethoven is there. It will probably not be recognized, but Elizabeth Cree (I reference this so much only because it is my latest piece and on my mind at that moment) is very Beethovenian in the initial establishment of a central motive, right in the first bar of the piece, played very clearly and loudly. And this motive is carried forth and developed as the piece progresses. You can hear it happening, it’s not rocket science. What I love about Beethoven is that he was trying to be utterly clear about his intentions. He was saying, “This is what it’s about. Take it or leave it.” It takes tremendous confidence to operate in this way as a composer. You risk failing because you are not hiding behind unnecessary complexity, enshrouding you’re the clarity of your ideas by various means. You are not communicating to the audience, “you are not going to get this and I don’t expect you to.” The audience will know if you miss. But when you connect, it can be amazing. STAY THIRSTY: You have told music students that being a performer helps to be a good composer and that recordings of compositions are essential to convey the scope of a work rather than relying on the reading of the musical score. Should students also be versed in today’s musical technology in order to know how to best communicate their work? How do you use technology in your work? KEVIN PUTS: I use almost no technology in my work except for the notation program Sibelius, which I love. I am jealous of those who are well-versed in computer music and can integrate it with their work! Maybe it’s not too late for me…. STAY THIRSTY: What three pieces of advice do you have for young composers? KEVIN PUTS: 1) Be yourself. You will not get where you want to be by making others happy, no matter how great the pressure. You really need to figure out what it is you love about music; 2) Be nice to people you work with, especially performers. There is plenty of good music already written and they could choose to spend their playing only that, and 3) It could be a short haul, but it’s probably going to be a long haul. I have had students who have wanted massive success over night. If that happens, it’s probably not a good thing. Take time to learn your craft and never stop trying to get better. I am still working at it myself, with every new piece I write.